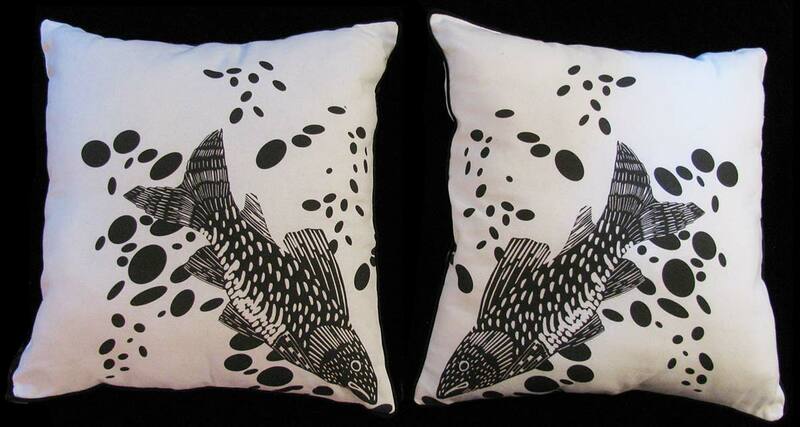 Dude Fish (top) Underwater Fish (bottom) pillows are available in 4 styles, swim left or right. 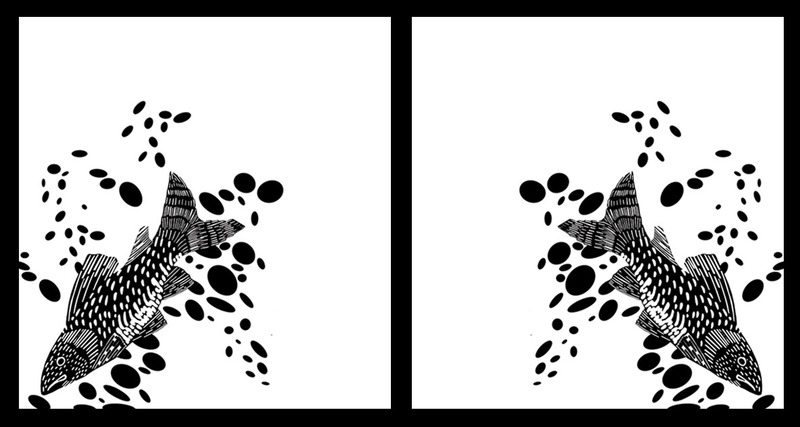 Dude Fish (top) & Underwater Fish (bottom) swim to the left or the right. Printed on and backed with 100% cotton artist’s canvas trimmed with black cotton piping, finished with a gold tone zipper for easy insertion of your pillow form. The Square Bubble Fish pillow swim to the left or the right. Printed on and backed with 100% heavyweight cotton trimmed with black cotton piping, finished with a durable white zipper for easy insertion of your pillow form. 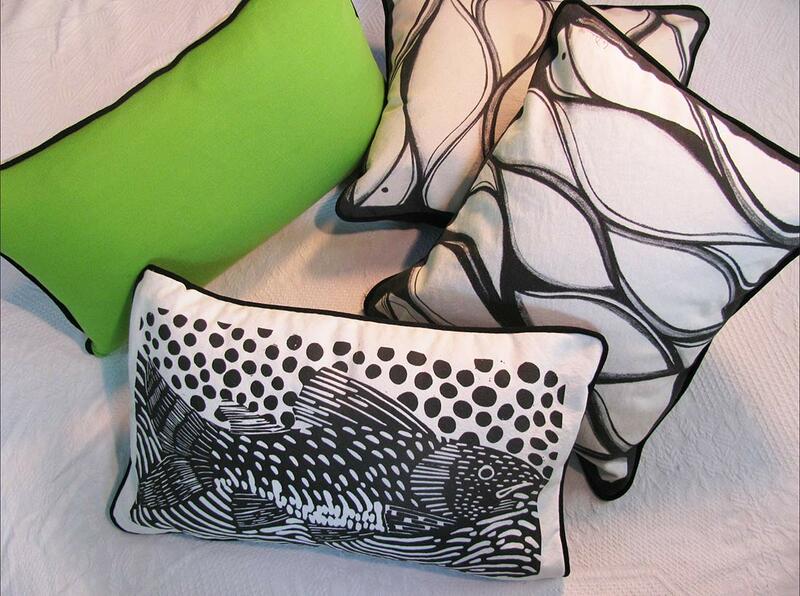 To order these fabulous pillows please use the form on the ORDER PAGE. 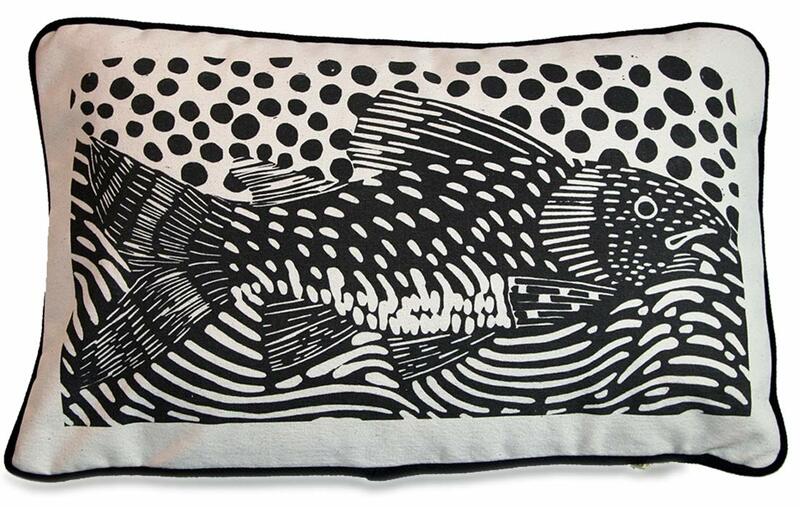 Dude Fish right pillow 10″ x 18″ shown with custom color backing, SPECIAL ORDER. 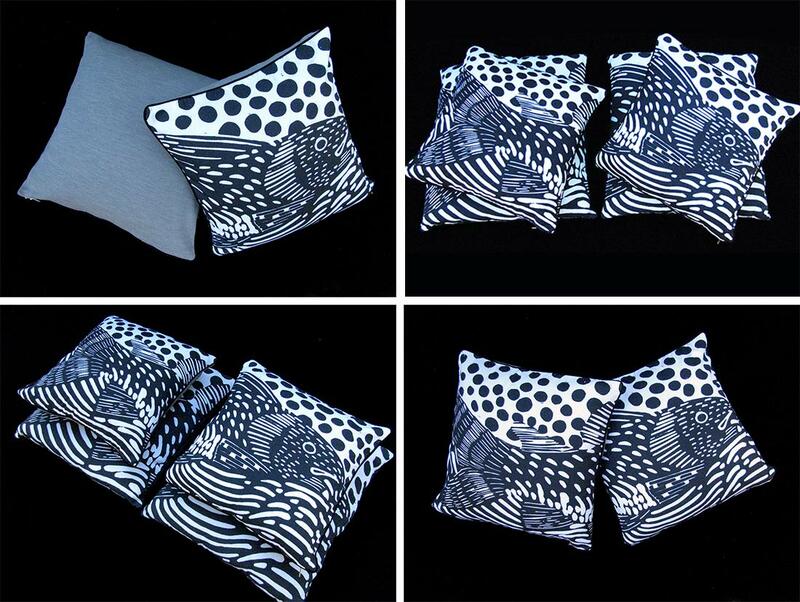 Wave pillows 24″ x 24″ available as SPECIAL ORDER. Finished with a durable zipper for easy insertion of your pillow form. 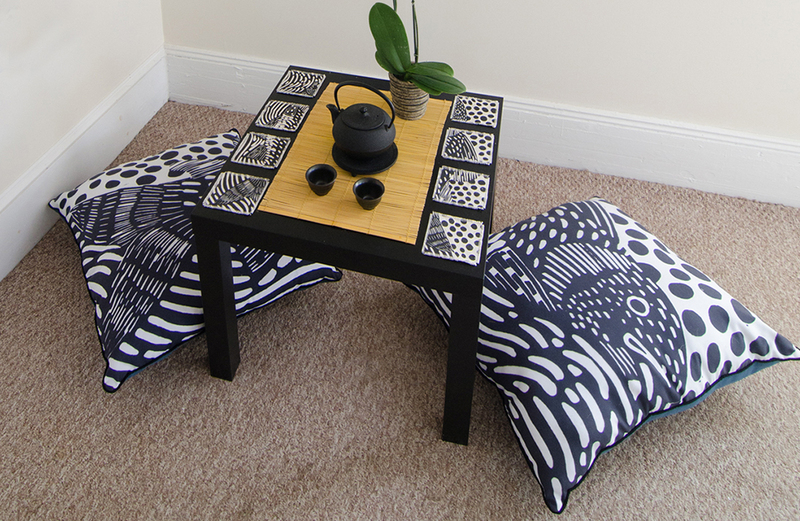 Half Fish Pillow is shown with 8 piece coaster set. Where else do these fish swim? Placemats in 12 styles. Dude Fish and Underwater Fish swim left or right with or without handpainted stripe. To order these fabulous placemats please use the form on the ORDER PAGE. Dude Fish (top) Underwater Fish (bottom) coaster sets available in 2 styles. Swim left or right. 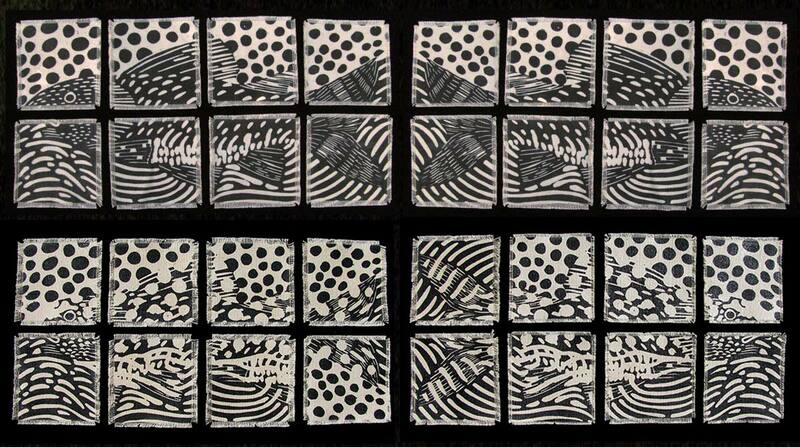 To order these fabulous coasters please use the form on the ORDER PAGE. 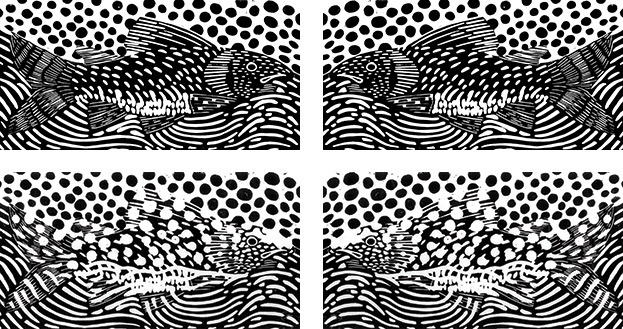 Fish prints available in 4 styles. Dude Fish (top) or Underwater Fish (bottom). Each swim left or right. 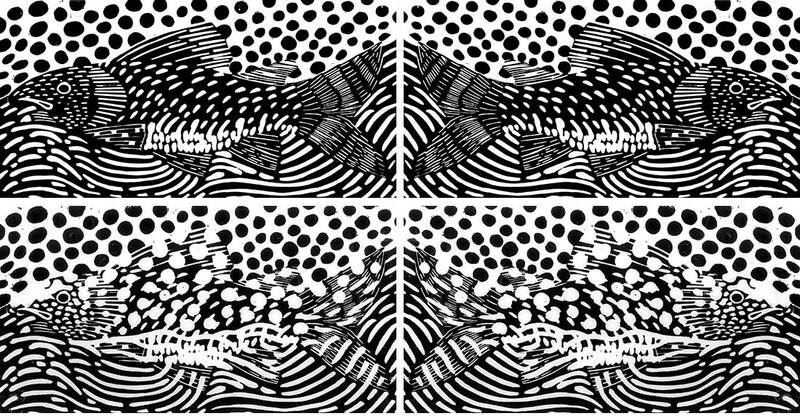 Square Bubble Fish prints available in 2 styles, swim left or right. To order these fabulous prints please use the form on the ORDER PAGE. See more of Karen’s Art. Learn more about Art Workshops. Watch The Studio & the Storm video.